J.K Rowling writes a book, and she sells 120 million copies. I write a book, and I sell 120 copies… to my mother. No joke, she kept buying them and giving them away to everybody she knew. After a while she told me she could no longer afford to buy them (at cost) and asked me if I would just give them to her so she could continue to give them away. Of course I agreed, she’s my mother after all. The big joke is that if a book sells 5000 copies in Canada it was a best seller. If that was true my book A Greater Purpose would have been one. But alas, it is not true. It is a matter of selling that many books in a week AND making it on a national publication’s bestsellers list. I’ve done neither! Nevertheless those like my mother who did buy a copy generally agree that the book has been valuable in helping people discover their God given purpose on earth. Therefore we decided to reprint the book (as the first printing sold out) and put it back up for sale. Church of the Rock has decided to take a page out of the Amazon handbook and offer the book with free shipping anywhere in Canada. If you would like to order a copy, the details are at the bottom of the post. If you would like know more about the book, keep reading. If there is one question that every human being needs to ask, on their short spin on this celestial orb, it is this: What on ‘earth’ am I doing here? I like to joke that I ask it every time I go down into the basement… mostly because I have forgotten what I went down there for by the time I get there. But on a serious level, one of the greatest tragedies is that many many people will go through their entire lives and never genuinely ask that question even once. One thing I have become convinced of in 30 years of ministry is that every human was created for a divine purpose. It would have made no sense at all for God to have placed billions of people onto the earth without giving them some sort of raison d’etre (French -purpose for existing). The Apostle Paul put it this way, For we are His workmanship, created in Christ Jesus for good works, which God prepared beforehand that we should walk in them. (Eph 2:10) So, according to scripture, our purpose for living existed even before we did. Unfortunately we get so distracted by life that we often miss what I call the greater purpose. We pursue success or finances or recognition or things and never really achieve a meaningful sense of fulfillment. That is primarily because there is no earthly reward that can possibly fill the God shaped void in our souls. The only real sense of fulfillment comes when we begin to discover why we were put on this earth in the first place. One simple exercise I always suggest for putting this all into perspective is to plan your own funeral. Oh, I don’t mean the flowers, the casket and the little sandwiches with the crusts cut off. Those things will be forgotten by the next day. (Can you honestly remember what any casket you have ever seen looks like? You have a better chance of remembering the little sandwiches.) 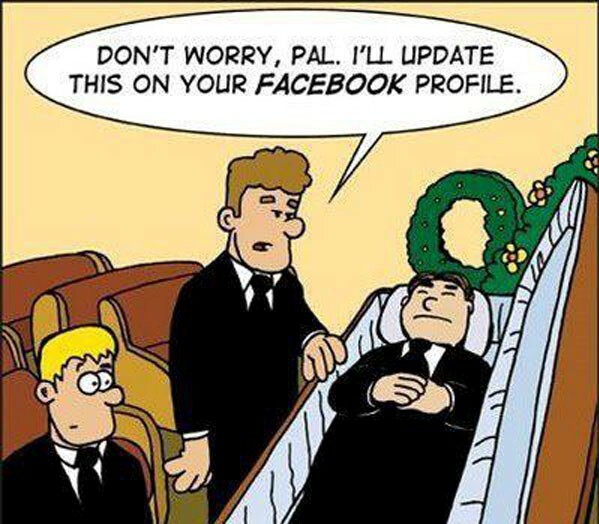 No, I am referring to planning what people will say about you after you are gone. Those words will almost always reflect the contribution you made to your world. No one will talk about the money you made, the car you drove, or the house you lived in because none of that has any lasting value. They will however talk about how your life made the lives of others better. At the end of the day the difference we made in the lives of others is the only lasting thing we leave behind. The key is to imagine those words now and begin to live as that person you would really like to be. And every now and then I think about my own death and I think about my own funeral. And I don’t think of it in a morbid sense. And every now and then I ask myself, “What is it that I would want said?” And I leave the word to you this morning. If any of you are around when I have to meet my day, I don’t want a long funeral. And if you get somebody to deliver the eulogy, tell them not to talk too long. And every now and then I wonder what I want them to say. Tell them not to mention that I have a Nobel Peace Prize—that isn’t important. Tell them not to mention that I have three or four hundred other awards—that’s not important. Tell them not to mention where I went to school. It is remarkable to me that after all his incredible earthly achievements he only wanted to be remembered as someone who tried to love and serve humanity. The greater purpose can be simply described as living for a purpose greater than ourselves. The only real sense of fulfillment we will achieve will likely not come from our worldly pursuits but from discovering our God ordained call in life. 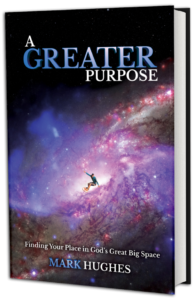 A Greater Purpose: Finding Your Place in God’s Great Big Space includes many inspiring stories of how others have found their way, as well as some examples of those that lost their way. In the end it is written in such a manner as to lay out the journey we all need to take to find our place in God’s great big space. Cost $16.00 CAD + free shipping to Canadian addresses. To order, please contact the Church of the Rock office. And you can always pick up a copy at the church building if you are in Winnipeg. You can download the first chapter here for FREE.